When you’re making those first baby steps into the world of cryptocurrency trading, choosing the right cryptocurrency exchange is arguably the single most important step. But which one do you choose? There are so many! As of January 27, there are 176 active cryptocurrency exchanges, up from a bit over 100 back in October. That is one new cryptocurrency exchange joining the market every 1-2 days. When you are trying to choose the best one for you, there are many factors to be taken into consideration. Its reputation and reliability are the first things that come to mind. Then, how many trading pairs it has listed, the fees, its customer service, supported cryptocurrency wallets, its user interface, functionality, and many others. In this article, we will be offering a very detailed Kucoin review. It is one of the big up-and-comers at the moment, which has so far has shown great promise and is probably one of the better choices, especially for beginners. Those who know nothing about Kucoin (read: the majority of readers) will certainly have a lot of questions like: “Is Kucoin safe?”, “What is the Kucoin Bitcoin price?”, “Is there a Kucoin app?” and many others. So, let’s get to it, shall we? If you’re thinking that the cryptocurrency market is still relatively small and underdeveloped, think again! The top cryptocurrency exchange boasts an impressive trade volume between $2 and $3 billion, and sometimes exceeding $3 billion easily – just in one day. A lot of these top exchanges have been around for a very long time, basically from the very beginning – which makes the idea of dethroning them quite a tall order. They are pretty well established, and a lot of them are playing it safe, focusing on less than 10 pairs (like GDAX, which trades only Bitcoin, Ethereum and Litecoin). When we take all of that into consideration, it being listed at number 22, and then climbing 8 places within a day to settle at 14 is quite impressive, especially when we consider that the Kucoin exchange is a newcomer, only slightly over 4 months old – it launched on September 15, 2017. Its trade volume, between $133 and $177 million day-to-day is also nothing to scoff at. Still, how is it possible that it can reach number 14 in such a short time, with hundreds of competing cryptocurrency exchanges? A part of it is due to the Kucoin exchange depth and versatility. In total, the exchange covers slightly more than 200 markets and trades 85 coins. Some of the coins traded here are unique. For example, Kucoin is the biggest cryptocurrency exchange for trading Trinity Network Credit, RaiBlocks, Odyssey, Telcoin and Fortuna. In addition, while it is true that this is a newcomer in the world of cryptocurrency exchanges, the team behind it is composed entirely of experts and experienced developers who had proven themselves on other projects before taking up Kucoin. Since its launch, there has been no downtime, no crashes and no major complaints. In essence, everything has been running smoothly. Kucoin’s team of dedicated professionals started development no earlier than May 2017. To be able to get everything ready, secure investment, prepare the project and launch it – all within a timespan of four months – proves true commitment and professionalism. The same level of passion and hard work has been upheld ever since. The team has never halted development and continues to release additional features, like the mobile Kucoin app for iOS and Android and the Kucoin Bonus Plan, as well as adding new currencies on a regular basis. Now seems like a good time to give a short summary of basic facts about the company in this Kucoin review. The exchange is based out of Hong Kong, but it is intended to serve as an international platform. It was launched on September 15, 2017. If you care about sifting through and reading first impressions, most users at the time praised this exchange for its user interface and ease-of-use. As another common point, early testers focused on its smooth and fast trades, drawing comparisons with Binance. When it comes to cryptocurrency exchanges, however, there are some options that Kucoin has that are completely new and revolutionary. First of all, investors in this exchange become something like shareholders: by putting their faith into Kucoin’s success, they can directly benefit when the company does well, especially long-term. This is how the system works. 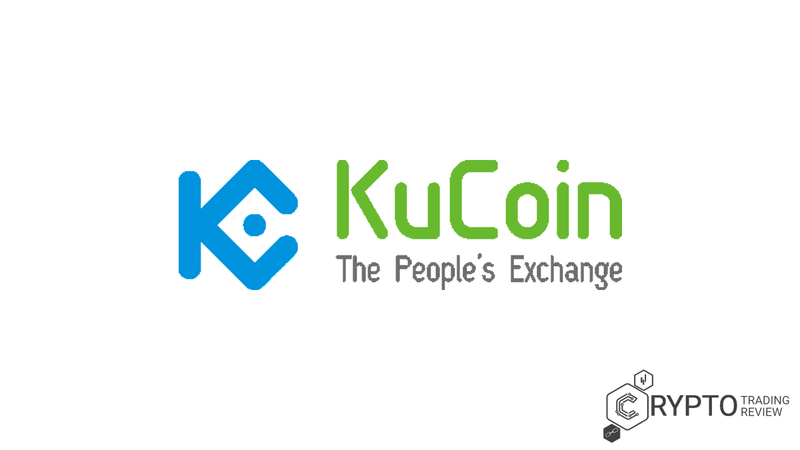 Taking a step back from regular, speculative cryptocurrency investments, it offers its users the option of purchasing Kucoin Shares (KCS). Doing so is very similar to buying shares of traditional companies on the stock exchange. Every day, half of all transaction fees are paid out to Kucoin’s shareholders. So, far it has proven to be a sustainable business model, lucrative both for the company and its investors, who can rely on their dividends as a steady source of passive income. Even those users who are not willing to invest in Kucoin Shares have more than enough incentive to use the Kucoin exchange over its competitors, since Kucoin fees of 0,02% are currently the cheapest transaction fees on the cryptocurrency market. Before we sink this Kucoin review into more detail concerning the exchange’s individual options and specific features, let’s take it step by step and provide a little more detail on the team behind this project. Unlike the final product, which is indeed new, the team behind it has years of experience when it comes to cryptocurrencies and blockchain technology. Most of them are veterans who have been doing extensive research on the cryptocurrency market since 2011, while the basic building blocks of the exchange, particularly its technical architecture, were already perfected in 2013. Although it took a long time to kick off development, the team made sure everything was perfect and it would be running smoothly – which explains how they managed to get everything done so quickly without sacrificing the website’s high-quality, user-friendly polish. Held key positions, including senior partner, in a number major companies in the tech world, for example MikeCRM, Kf5.com and Ant Financial (formerly Alipay) of the Alibaba Group. Ant Financial is currently ranked as the most valuable fintech company worldwide. Alipay is now the name of Ant Financial’s mobile and online payments platform, the largest of its kind in the world. The mastermind behind the company’s financial trading system, he was instrumental in both its design and deployment. He is very passionate about open source projects and manages some of the most popular projects on GitHub. Open Source Community technical expert. One of the most experienced members of the development team, with over 10 years of experience starting Internet businesses and working for several prominent tech companies. Held key positions (alternatively CTO or senior partner) at Ruiyun Wulian, Youling, Fengzheng Lianxian and others. Currently also holds the position of operations director at iBOX PAY in charge of the southwestern market. iBOX provides payment services and POS systems targeted at businesses, coupled with analytic tools and software for monitoring sales. Alongside the Kucoin Exchange, holds the key role of regional Operation Supervisor for Asia of the REAP project (Re-engineering Assessment Practices), backed by Stanford University. Previously served as architect and Operation Director for a number of startups and tech companies. An expert in consumer finance, he held the position of president of Jianbang Communication. Runs over 30 group buying websites and service centers all over mainland China. Group buying, known by some as collective buying, is pretty big in China, since it makes products and services available at noticeably lower prices if a certain minimum number of buyers decide to buy the same product/service. It is an innovative and successful business model, interesting as a mass consumption and marketing strategy. Using the combined expertise of its veteran team, Kucoin seeks to secure a spot at the very top of the cryptocurrency market with its advanced platform and its dedication to security, speed and reliability. Next up in our Kucoin review, we’ll focus on the how-to’s and see how these guys measure up when it comes to the technicalities of signing up, registering and getting started. When it comes to registering, here it is as simple as it gets. The procedure is very standard. You provide an e-mail address and choose a password. The system then sends you a verification email with the remaining steps. Beginners, in particular, should have an easy time with Kucoin, since it is designed to be very intuitive and straightforward. The exchange offers a whole range of available cryptocurrencies. The cryptocurrencies can be exchanged for either Bitcoin or Ethereum, so the only prerequisite for trading on Kucoin is buying a certain amount of Bitcoin or Ethereum elsewhere for fiat currencies. Once you handle that step, you can access Kucoin’s Markets and Trading View. On this screen, the exchange lists all of the available trading pairs. BTC, ETH, KCS, NEO and USDT are the common starting points. After you select one of the trading pairs, the trading screen is the next step. On this page, you can see the order book and decide whether you want to buy or sell the currencies. Kucoin is very focused on security, which is why the system needs you to verify your identity with a Google Authenticator code before proceeding. Now all of this is nice, but at this point it is to be expected. Experienced traders see most of these options as standard features. At any rate, all of that is circumstantial and comes as secondary. What really drives the point home are the Kucoin fees. While cosmetics and ease-of-use do matter, Kucoin Exchange looks to primarily attract customers by offering very low fees. 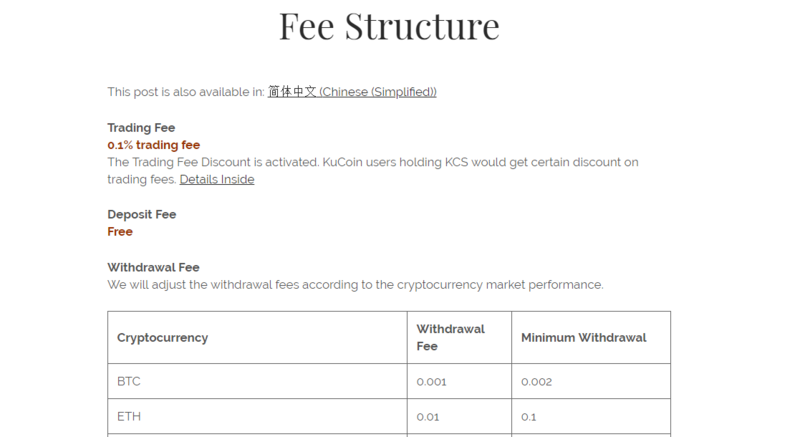 Whether you are looking to trade or make a withdrawal, Kucoin fees are among the lowest on the market. Making a deposit is completely free of charge, while the trading fees are 0.1%. When it comes to making a withdrawal, the service comes free for a large number of cryptocurrencies, including NEO and GAS. For others, the withdrawal fee is exceptionally low, from 0.001 for Ethereum and 0.001 for Litecoin, to as low as 0.0005 for Bitcoin. Apart from their low costs, the withdrawals are processed very fast – in most cases, it takes mere seconds. Although the Kucoin fees are among the lowest, considering the total traffic on the exchange (which continues to grow), they can easily begin to add up. For many users, what the company does with the fees is an important question. This is where Kucoin shares come into play. Half of all fees are distributed among users who own KCS on their accounts. Additionally, 40 percent of the fees are given away via the Invitation Bonus. This means that Kucoin retains only 10% of all fees accumulated by the service. The 10% is used to keep the service running smoothly, while the rest is used to give back to Kucoin’s supporters and help the network grow, which ultimately benefits everyone. As for a more detailed review of the key features, we will focus on that in the upcoming section. We’re already halfway through our Kucoin review, and we still haven’t had a chance to mention its excellent Customer Service. One thing is for sure, the company puts its customers first. To make sure there are as few hiccups as possible, support is available 24/7. You can hit up Kucoin’s agents via hotline, chat with them, send an email or contact them directly through the website. The team is notable for listening to community feedback and implementing some valuable suggestions. So if you feel like you have a good idea to improve some aspect of their website/service, any help is welcomed – and it might just end up being an official part of Kucoin. There is no limit to the number of pairs that can be listed on the Kucoin exchange. Kucoin frequently takes advantage of the sophisticated technology that makes this possible by hosting Initial Coin Offerings and making cryptocurrencies available for trading faster than other exchanges. Some of the more popular cryptocurrencies listed here include ETH, BTC, USDT, ERC20, NEO, KCS, LTC, QLink, LAToken, UTRUST, TFL and others. Additionally, a new, unique feature is in the works, which will enable users to register new cryptocurrency pairs of their choice and start trading right away. Smaller withdrawals take only a couple of seconds to process, while large withdrawals take under 10 minutes. It takes as little as two minutes to make a deposit. This speed is made possible by Kucoin’s Core Trading Engine, capable of Million-Level Throughput. The extremely efficient technology is capable of receiving 2 million orders every second and processing as many as 1 million per second, which is way beyond anything competing mainstream systems are capable of. Even though achieving such numbers is unlikely, the fact that the technology to handle this extraordinary number is possible means that there will be no lagging and no delays, no matter how busy the exchange gets. You to get to join the top 20 club on the cryptocurrency market without a well-thought-out, solid plan. And that’s exactly what Kucoin’s operation team is working hard on implementing. The focus is both on offline and online promotion on a large scale and over a prolonged period of time. A lot of the fees are set aside to reward who actively promote Kucoin or invest in its success. In addition to these incentives, it compensates those users who actively promote the exchange with invitation bonuses. Being proactive and enthusiastic definitely pays off. Apart from the invitation bonus, the user who sent an invitation to new users receives a portion of the trading fees paid by all of the invitees. There are a lot of cryptocurrency exchanges out there, and not all of them are reputable. It is understandable why people would want to stick with the names they know from before, in particular the 2-3 mainstays that have been around since the very beginning. Although the low Kucoin fees and the bonuses definitely sound inviting, the question “is Kucoin safe” gets asked a lot. The answer, in the fewest of words, is yes, Kucoin is indeed safe, and for more reasons than one. First of all, you don’t have to worry about getting scammed, since the team behind the company are all experts and veteran professionals with a proven track record and a history of doing things by the book. They are behind Kucoin 100% and they guarantee for it with their own names and professional reputations. Secondly, as we’ve mentioned before in this Kucoin review, the system here is developed to be extra-safe with additional checkpoints and layers of security. It was designed by adhering to some of the most stringent rules in the financial industry and the standards used by big banks and other financial institutions. To make sure that the information stored on Kucoin’s servers remains intact in case of disasters and other unpredictable situations, Kucoin employs three separate centers and two locations. In addition to that, it uses the standard transfer encryption protocol and multifactor dynamic authentication. The first means that all the sensitive data, including user data, is stored on a separate level on data encryption. The latter means that there are additional steps to take when you try to authenticate a transaction and prove your identity, unlike with credit cards, where all of the information is basically available in the open – in one place – on the back of the card itself. Wallets have several security levels, too. Kucoin has a private networking architecture for its micro-withdrawal wallets on Amazon’s Cloud for Web Services. Amazon’s Cloud is among the safest in the world, since it has a complex multilayer firewall to prevent potential attacks. On a more general level, concerning Kucoin’s operations, it has a separate department specifically for risk control, which acts in tandem with the department for operational processes to make sure that Kucoin’s operating and data security standards are upheld to a T.
Kucoin Exchange has its own token called Kucoin Shares or KCS. It is a decentralized cryptocurrency based on the Ethereum platform. As such, it works with all Ethereum wallets. Initially, Kucoin issued 200 million of these tokens. 35% of the tokens (70 million KCS) were issued to the founders during the first phase. After that, the second phase revolved around issuing an additional 15% (30 million KCS) to angel investors, consultants, industry stars and other contributors. The remaining half (100 million) were given out to all users during the third phase. However, Kucoin has made plans to reduce the number of tokens on the market to 100 million. Kucoin plans to achieve this by buying back the tokens it gave away and destroying them. The developers set aside a certain percentage (10% or more) of total quarterly net profits for the purpose of buying back and destroying KCS. The end goal is creating an independent, fully decentralized exchange and Dapp platform with KCS as the network’s fuel. To make sure that the founders cannot abuse their KCS shares, their tokens are frozen under a lockup which was set in advance to last for 4 years, until Sept. 2, 2021. The KCS tokens that were issued to investors and contributors during the second phase also have a lockup period – although theirs is a bit shorter, set to last until Sept. 2, 2019. The tokens that were purchased by other users during the Initial Coin Offering and later on can be traded on the market with no restrictions, since they do not have a lockup period. 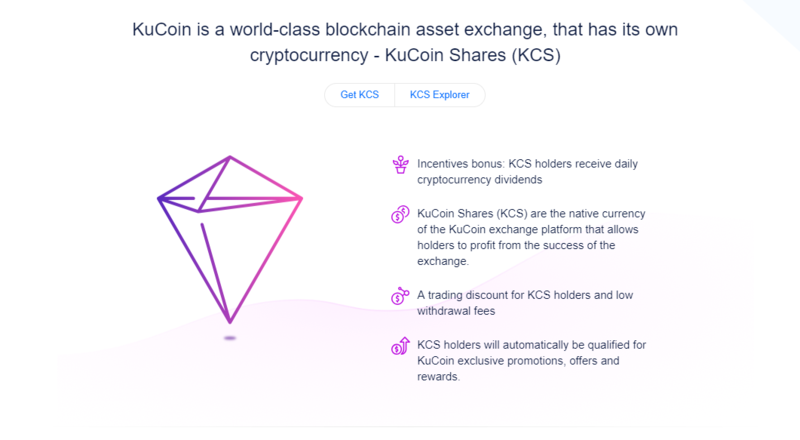 At the moment, the biggest benefit of owning KCS is the one we have already mentioned before: half of all Kucoin fees are distributed between the users who own KCS tokens. So, the more tokens you own, the larger your share of the profits, which can accumulate over time. It is important to note, however, that you need to store your tokens on this platform, otherwise you will not receive your bonus. The profit share is not the only positive thing about KCS. Those users who have a certain minimum amount of KCS are additionally rewarded with even smaller trading fees, lowered by 30% compared to exchange users who do not own KCS. In the future, as the value of KCS grows, users who own these coins will have faster access to Kucoin’s customer service via the Fast-Pass, alongside additional perks such as personalized investment consultation one-on-one with a financial expert. If you are looking for an honest, unbiased review, the best place to look are different forums and discussion boards, where cryptocurrency enthusiasts can share their experiences, offer advice and brag about their successes or lament the horrors they’ve been through. All in all, Kucoin has managed to successfully connect with its user base and grow in popularity thanks in large part to good marketing strategies, including its focus on Initial Coin Offerings and giveaways, as well as a strong, pointed social media campaign and viral marketing strategies. 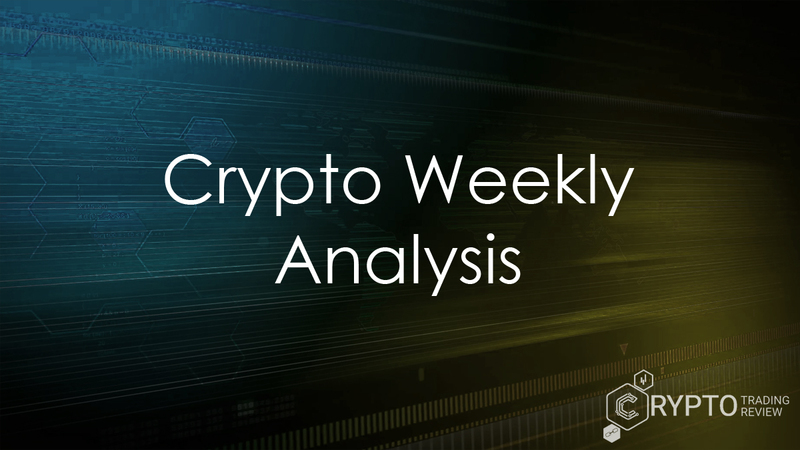 In spite of its many great sides, one thing that has a lot of cryptocurrency enthusiasts worried is the location of this exchange, and our Kucoin review has to address this. You see, the company is based in China, which is known for its inconsistent stance of cryptocurrencies. Compared to the rest of the world, particularly western countries, the Chinese cryptocurrency market is particularly volatile. Worst case scenario, the Chinese government or its central bank could decide to crack down on cryptocurrency exchanges, which could cause things to go south for Kucoin very, very fast. Some of the more unfortunate things that happened lately in China include the recent ban on Initial Coin Offerings and CNY trading being suspended intermittently on most major exchanges. Still, things aren’t quite as dire as they may sound at first. If anything, the hostile climate made Chinese cryptocurrency exchanges even more resilient, resourceful and professional. Faced with strict government oversight, Kucoin’s margin of error is much narrower than any of its western contributors. Consequently, it must uphold a very high standard to avoid potential legitimate criticism. Foreign users have no reason to worry about Exchange, though. The Chinese government has a lot to gain from a successful business which trades several hundred million dollars’ worth of cryptocurrencies each day. The real challenge lies in servicing Chinese users, and not being able to do that effectively is currently the biggest impediment to crazy, uninhibited growth of the cryptocurrency market. But Kucoin is aware of these limitations, which is why it focuses on the foreign (read: western) market, and that is not illegal or prohibited in any way, and there is no indication that it will come under the government’s scrutiny any time in the foreseeable future. Kucoin is nevertheless aware of its peculiar position, which is why there are plans in motion to make the exchange fully decentralized within the next couple of years. Once that happens, it will no longer be primarily a Chinese exchange, but a global one – and then, it’s fair play for everything and anything its users decide to do. In its whitepaper, the team behind Kucoin laid out a detailed plan for development and outlined several major milestones that they hope to achieve. For example, the plan was to have 50 cryptocurrency pairs listed before 2017 was out. They easily overshot that goal. Currently, one month into 2018, it is possible to trade between 95 cryptocurrency pairs on their exchange (nearly double). By the middle of the current year (2018), Kucoin will launch its self-releasing feature, which means that users will have the option of listing additional pairs themselves and trading them directly. The feature should enable the exchange to accumulate as many as 1000 cryptocurrencies by December 2018. If all goes well, Kucoin’s daily exchange volume should steadily grow to over 100,000 BTC. It is currently sitting at around 10-15,000. With things going the way they have so far, achieving that goal should prove to be easy enough. 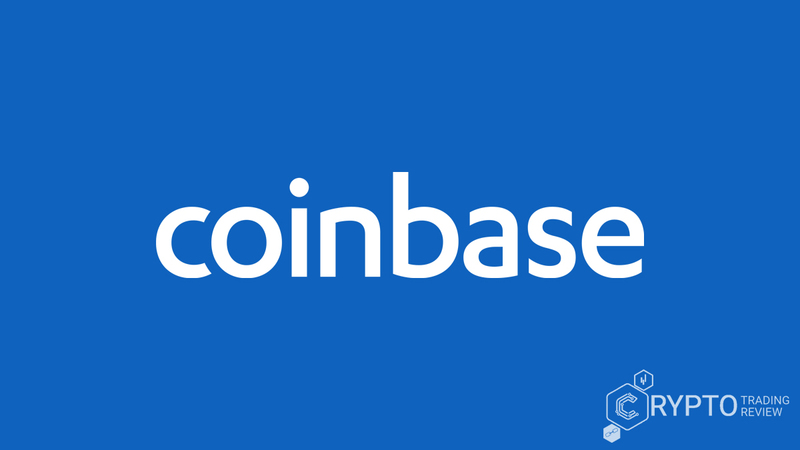 The company’s long-term goal is to become one of the 10 biggest cryptocurrency exchanges within the next year and a half. In spite of being one of the newer contenders, Kucoin is already halfway there. It climbed to number 14 a couple of days ago before receding a bit and stabilizing at number 19. Very competitive fees for trading and withdrawal, paired with its unique incentives and KCS benefits, are well on its way towards making Kucoin reach its ambitious goals even faster than expected. Join them now and become a part of their story!